While perhaps not intentional, Theme Park University has become known for two things: learning about extinct attractions and telling it like it is. Today we are going to focus on attractions that do not work for one reason or another and the ripple effect it has on the entire industry. For the most part, as the judgmental human beings we are, if we experience something new for the first time, we often form a stronger opinion of something as opposed to a more forgiving one. Recently, after hounding a friend of mine to experience a food truck for the first time for over a year, he gave it a go. 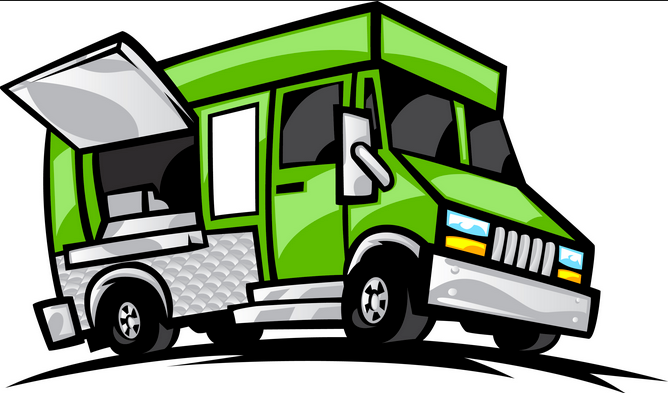 He decided to dive in at a monthly event where there are more than 20 trucks to choose from and over a dozen cuisines. My friend decided on a hot dog that was injected with his own choice of sauce and then wrapped in a bun made from Hawaiian bread. He hated it. I was dumbfounded. After visiting over 20 different food truck events in the area, I had sampled many of them and had mostly wonderful experiences and a few swing-and-a-misses. However, it never even occurred to me that one single attempt could sway someone from never even wanting to eat at a food truck again. They are all independently owned, offer completely different food and there are literally hundreds of choices at any given event! Nope, he was done. For the most part, the theming, design and just plain clever thought put into most escape rooms I’ve visited makes my heart happy. People, not corporations, are able to tell an original story where the audience becomes an active participant and nearly everything they see and touch in that room is authentic and organic to the story. Then there are those escape room owners who said, “I can do that!” and went out to the dollar store and Ikea to buy everything in their room for decorations. They spend next to no money on props, theming or even storytelling, nor do they care. The escape rooms that use cheap props and don’t tell a story get one of three responses from guests. Either A: They enjoy the experience because they like solving puzzles and have nothing to compare it to. B: They have played escape rooms before and know they just got cheated out of $30 because the owner is trying to make a fast buck or C: They feel like they have been had and know that while the game might have been challenging, it was nowhere near worth paying $30 to be in a room that costs no more than $100 to decorate (yes, I have been to attractions and escape rooms that fall under this category). It is response C that is dangerous and hurtful to the entire industry. The vast majority of people who feel they wasted their time and money will most likely never return to that type of attraction again. Look at it this way. As a business owner, you’ve got a quality product. You’ve done your research on the market you’re in, gained insight from as many other people in your field as you can and you’ve even hired the right people who have the skills that you lack to create something that you know can compete with (if not top) the best of the best in your category. However, the competitor down the road threw his business together with little thought, no insight and next to no money trying to make a fast buck. 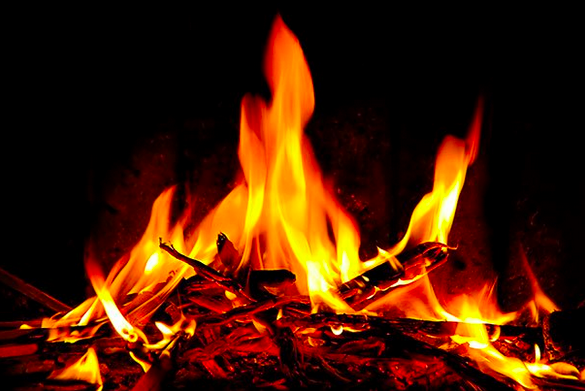 Their pissed off customers will most likely never be your elated ones, simply because they don’t want to be “burned” again. It gets worse. 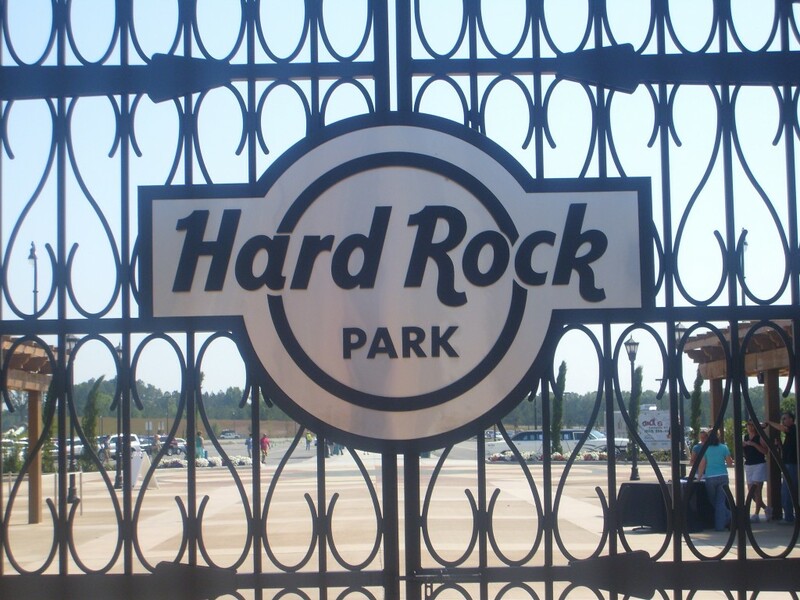 Let’s use Hard Rock Park as an example. 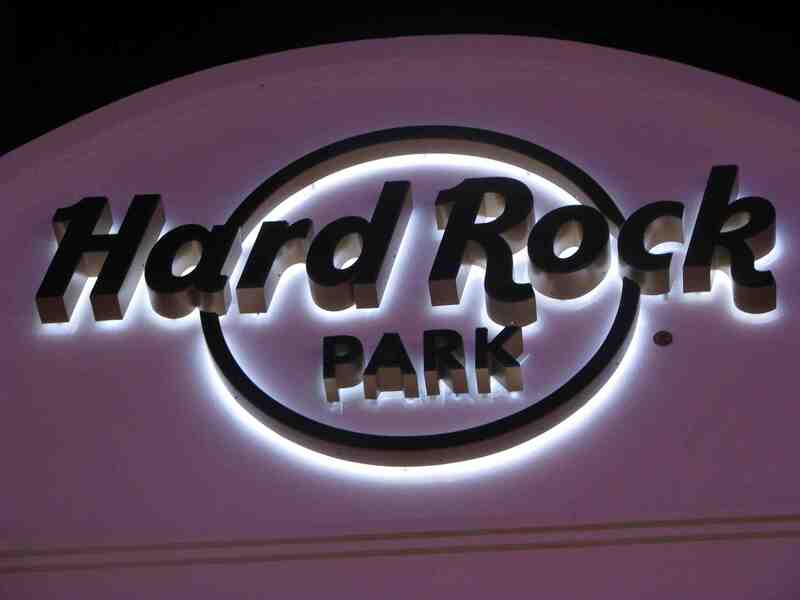 In my opinion, Hard Rock Park did a lot right. They created something outside the box which is a risky move in the theme park world. However, what they got wrong, they screwed up royally and the next thing you know, $400 million is down the tubes. There were a lot of investors who got burned in the deal. Most took the hit as a write-off. If you want to know what I think killed the park click over to this link. However, very few guests even went to the park. Most didn’t even know it existed and many who were aware scoffed at a $50 ticket price for both adults and children. I am a firm believer that content and/or word of mouth didn’t kill this park. Not enough people saw it to even know what was there to begin with. The ripple effect actually hurts Myrtle Beach, South Carolina the worst. Anyone who says Myrtle Beach can’t support a full blown theme park of any kind is crazy. With a tourist base of 14 million a year, and no other theme parks in any direction within a 3.5 hour drive, it can absolutely sustain a profitable park. Considering the failure of Hard Rock Park (and its predecessor Freestyle Music Park), no one is going to touch Myrtle Beach in the theme park business for many years to come. Investors are afraid the same fate might happen to them and they have every right to feel that way. As confident as I am, I would be nervous sinking hundreds of millions in too. 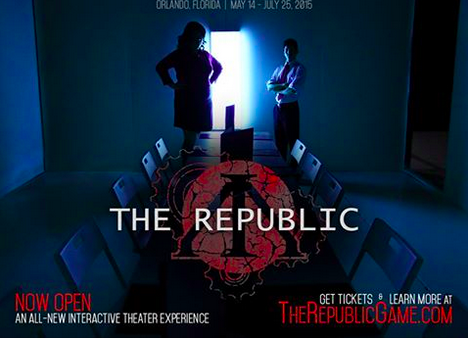 Finally this article will talk about the new, and most likely, very short-lived immersive theater show in Orlando: The Republic. Without question, it is the harshest piece of writing seen at Theme Park University. Also worth mentioning is that it was easily the worst entertainment experience I have ever paid for. Granted, I did not pay full price to see the show. I got a reduced rate since it was part of the 2015 Orlando Fringe Festival and was still in beta testing. In the case of The Republic, the answer was no. Coincidentally enough, a bomb (in the form of a sound effect) somehow did go off at the end of the show, which is how it ended, but about an hour too late for my taste. I must point out that there are a handful of A‘s out there who seemed to like the show. Or at least the idea of it. Many of which made mention that this was their first brush with immersive theater. Then there were a decent amount of B‘s who had done shows like Sleep No More or Then She Fell and thought this was a total mess compared to anything they had seen before. Perhaps it was the tone of my article, but I had several people in the C column that also saw The Republic reach out to me personally and privately. “I wish I would have called pineapple (the safe word) early on just to end it,” “on a scale of 1 to 10, this was a zero” and “if this is the best Orlando can get, we are in trouble.” It goes on and on. 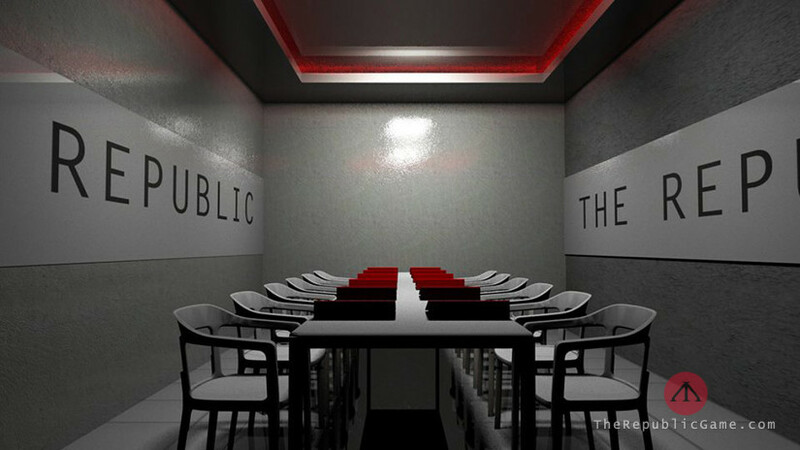 On a personal note, a quick thank you to those who reached out to me to talk about your experience at The Republic. Positive or negative and most of you I have never met (or often even heard from) before. Despite my experience on the first night of beta testing where the staff wasn’t interested in feedback, I am. Always. My opinion may sometimes be broadcast on a website but at the end of the day, I am only one in a sea of viewpoints. The other piece of feedback I continuously heard was on how much I participated in the show or didn’t, as the case may be. “You get as much out of it as you put into it,” is continuously echoed over and over again. Not only to me, but in nearly every interview and marketing I have seen for The Republic. Let me put this as bluntly as possible, because this is a common misconception in interactive entertainment. If a paying customer doesn’t enjoy themselves due to their actions in an interactive show, it is not the fault of the customer. Some day, those of us who have heard this audience blaming excuse will all form a support group and sing “Kumbaya” while holding hands around a campfire. The Republic didn’t make sense at any point of my 90-minute journey. Not even a little. Nor did it for any of my friends who all did different things than me. Interactive or immersive shows have to be written or designed in a way where everyone that is involved gets something out of it regardless of the level of participation or how they participate. Any other mindset on this is dead wrong. It is the job of the show’s creators and designers to engage the audience, not the other way around. Let’s also call a spade a spade here. 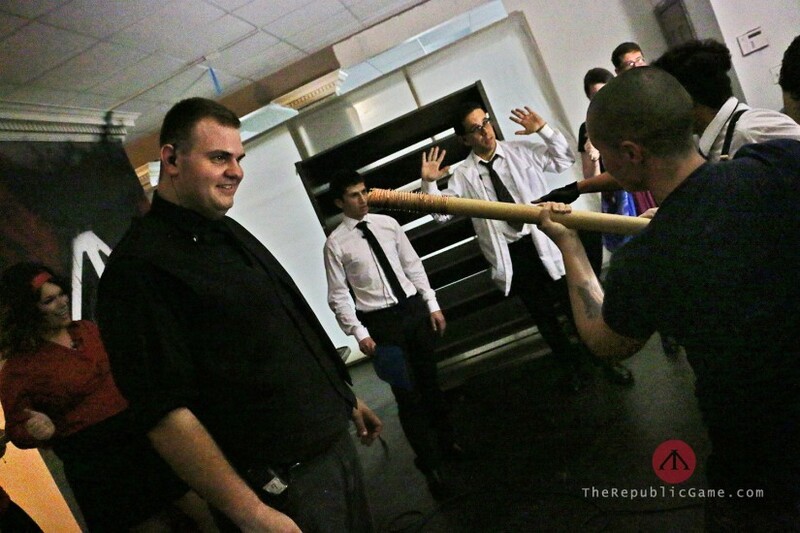 While a term to describe The Republic could be immersive theater (even I have used it), a more accurate one would be live action role playing or LARPing. If LARPing sounds like a foreign term, you’re definitely aware of it happening. If you’ve ever been to a renaissance fair and seen guests mingling around in period costume and pretending they are really “there”, you know exactly what I am talking about. LARPing is something you do with your friends at ren fairs and comic book conventions. It is not an attraction, much less something to be paid for. Yes, there are a fair amount of people who are interested in it. However, there are plenty of places where you can do that for free or perhaps pay a cover charge and you’re free to create your own adventure. Keep in mind, the people who do enjoy this already use established characters and familiar time periods within a universe they are already have knowledge of. Creating one from scratch has to be incredibly inventive, intriguing and requires engaging characters and even then? It’s an uphill battle to get audiences on board. This is why the beta test answer of why The Republic fell flat doesn’t jive with me. It needs more than tweaking. It needs to be figuratively blown up and put back together again. However, there wasn’t enough time to do that between beta testing and full paying customers. If the show is to survive, it needs to be widely accepted by people who can enjoy live interactive themed entertainment, not just people who love role playing. What’s worse is when the show closes and fails (you know my guess on that), no one will want to open a new immersive theater show in Orlando for quite some time (even though I feel that’s a slight misuse of the label). More importantly, there is a higher chance of patrons experiencing something like this for the first time and not giving immersive theater a chance anywhere else. Finally, I do not believe that anyone who creates a “bad” attraction or show does so with malice. In their mind, it might be with good intention. Maybe they are just lazy. Maybe too stubborn to ask for help. Maybe they think they don’t need it and naysayers “just don’t get it.” Let’s just hope that at least someone who reads this might have a small lightbulb above their head now and be aware of how their product affects others, for better or worse. This entry was posted in Outside The Parks, Theme Parks 101 and tagged Escape Rooms, Hard Rock Park, immersive theater, Larping, The republic. Bookmark the permalink. Trackbacks are closed, but you can post a comment. You described a hot dog served in Hawaii. It was quite popular. I tried it myself and was unimpressed although I felt it was adequate, but expensive. I don’t believe that a failure means people won’t try it again. It just means it was tried once and failed. People might just come up with a better concept and it will succeed. I’m not an immersive theater or role playing enthusiast. 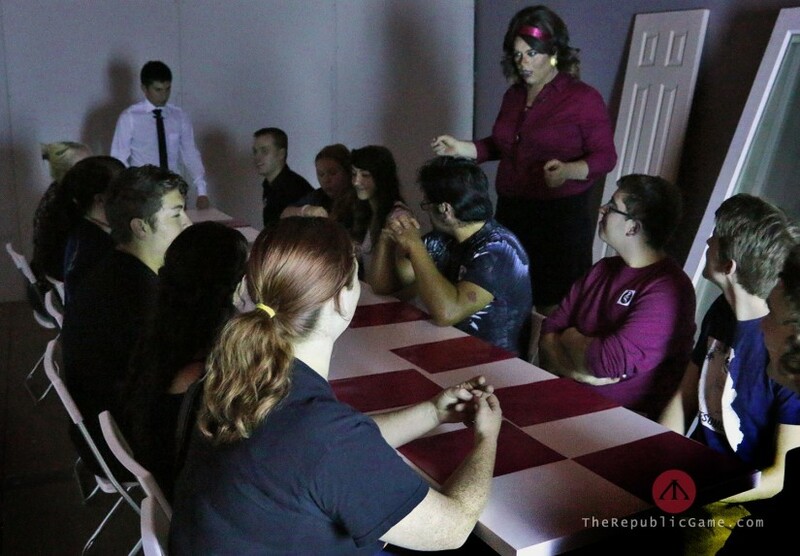 I went to one mystery murder theater sponsored by my work organization. The intricate story line was confusing. The actors were not polished. I couldn’t wait for it to end so I could leave. On the other hand, I quite enjoyed the Renaissance Pleasure Faire where I live in Southern California and went several times. It was the atmosphere, the shows, the food, and the costumes that attracted me. It requires little actual participation as I prefer to be entertained. Theater shows gotten more interactive and immersive. I think that is a good development. Yet I believe immersive shows and role playing shows to be more specialized entertainment that will attract those who already buy into such things. The cost is a factor. Spending $35 for a “Saw” type show won’t work for most people. Usually when people pay a ton, they usually make an effort to entertain and engage. I’m surprised that “The Republic” is so hands off. Not a good sign. will you ever give another Murder Mystery show another chance after the one you hated? if the answer is no then you just contradicted your statement that you don’t think a failure means people won’t try it again. What CONTRADICTION? I gave two examples. One I liked and one I hated. I will attend a successful show. The murder mystery was an one time deal at a rented ballroom. Frankly, this concept didn’t have much enjoyment, but the other concept like the Renaissance Faire worked better. You visit the themed entertainment that works. Just because of this one failure does not mean I avoided themed or immersion attractions like what this article is claiming. The concepts that are successful are not stuck in particular genres. Anyways, if you find a perfect murder mystery show to attend, I’ll consider it, but we are so past that tired concept. Great article. I can say the Republic did a great job of advertising itself before the preview at the Fringe. By the time the festival began it was completely sold out. After the reviews I’ve heard and read I certainly don’t want to spend $30+ for such a poorly done attraction. 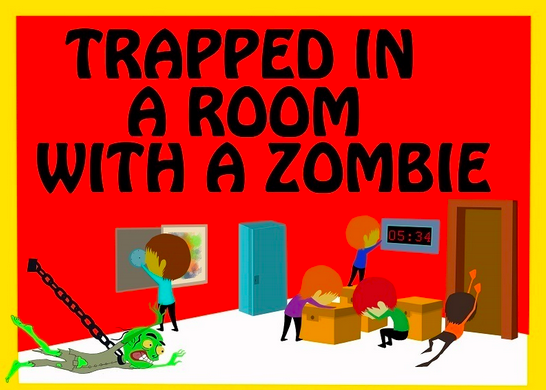 I’ve never attended an escape room attraction yet but do want to experience one as it sounds like fun. I do feel bad for an acquaintance of mine who was (is?) Involved in the creation of the Republic. He talked about it a lot on his podcast. This was the main talk I had such high hopes. Thanks for this great article. You’ve made some great points and it’s proven that bad word of mouth is spread around to others more than a good experience. I’m very interested to see if the Republic survives, and if that survival requires a major over haul off the show. I love Immersive theater! I think its smart, creative and limitless. 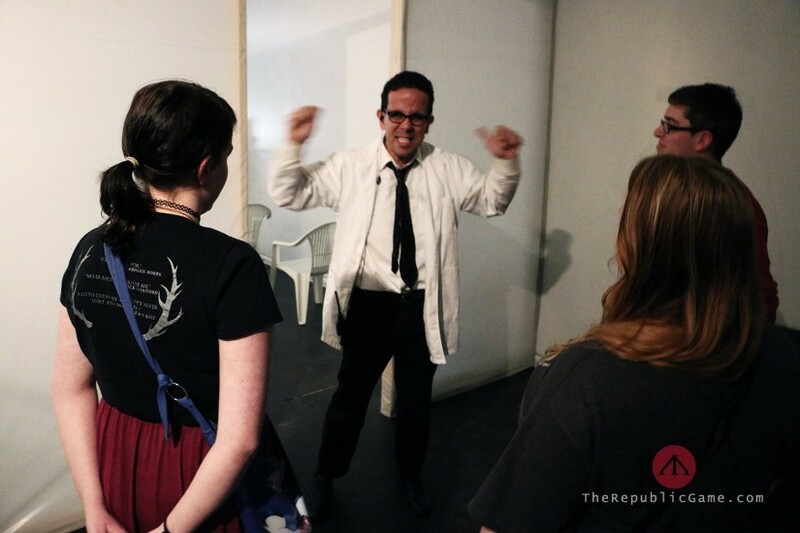 I can’t not agree with this article more, and I truly hope the Republic doesn’t kill immersive theater for Orlando. If Republic closes tomorrow, no one will notice. All shows have a limited shelf life anyways. You move on.